Officer Michael Feagan has served as a patrol officer with the Columbus Police Department since 2012. Prior to that, Officer Feagan was a Deputy with the Polk County Sheriff's Office since 2011 and Sergeant before transferring in 2012. Officer Feagan is a veteran of the United States Army. 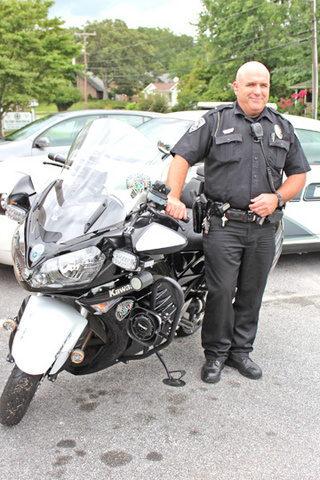 Officer Feagan often patrols Columbus streets and highways on the department's 2012 Kawasaki Concours 14 or 2013 BMW R1200RTP. Officer Feagan completed the North Carolina Highway Patrol Basic Motorcycle Operator School in 2014.